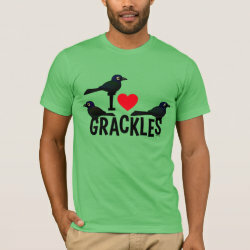 Grackles don't always have the best reputation. 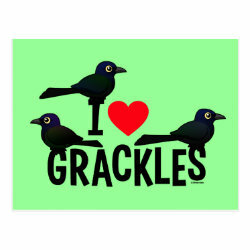 They can be noisy. 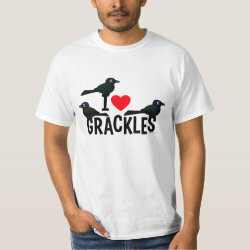 They like to gather in large flocks, which serves to magnify any "noise pollution" impact. 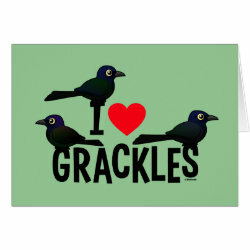 But if you're reading this, chances are you have soft spot more... for these common cuties, just like we do. 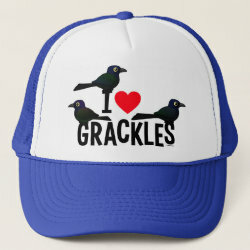 The text reads "I (heart) Grackles" in a playful font. 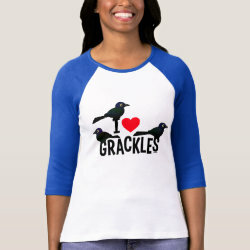 And three North American grackles perch on the letters: Common Grackle; Boat-tailed Grackle; and Great-tailed Grackle. 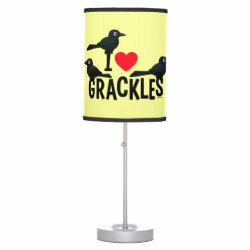 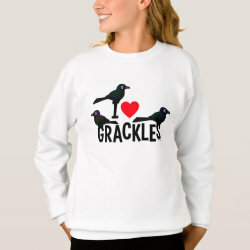 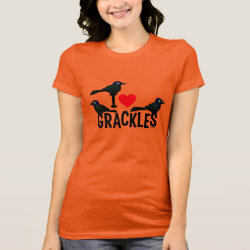 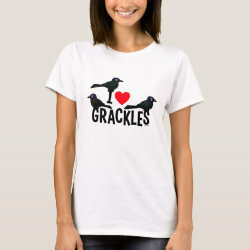 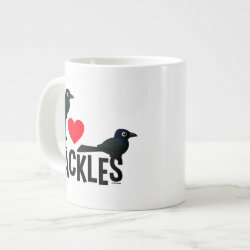 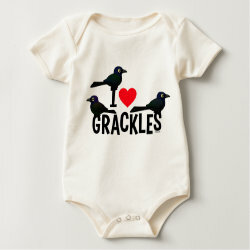 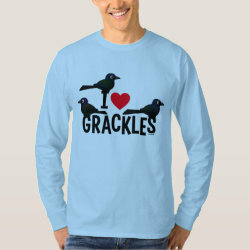 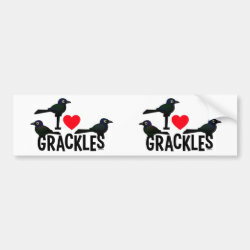 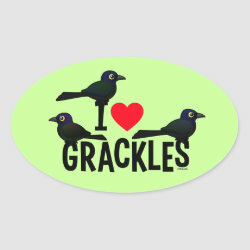 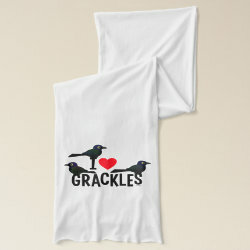 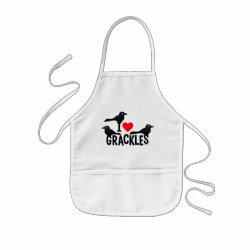 This cute original design may be for you, if you're of the pro-grackle persuasion.